Every night owner John Unger takes his sleeping pal Schoep into the waters of Lake Superior in Wisconsin and lulls him to sleep. 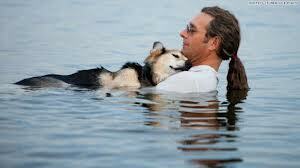 There are a many articles and studies done on whether or not dogs are empathetic towards humans. But in spite of the fact that empathy towards the dogs we live with is an essential ingredient in our relationship and interaction with these animals very little has been written about this subject. How often with our own dogs do we put feelings of frustration and aggravation aside and try to see things from the dog’s perspective? How often when our dogs behave in ways that do not quite fit in with what we expect from our fellow humans do we act inappropriately towards our dogs without thinking about what is causing this “odd” behaviour? We more often than not do not “put ourselves in the dog’s shoes”. To be able to empathize with our dogs we need to recognise that dogs feel emotions such as happiness, loneliness, sadness, frustration, anger and fear just as we do, even though they might express these emotional ups and downs differently. We owe it to our dogs to learn how to identify their emotional states as best we can. By doing this we will be able to help them with any behavioural problems that may arise, such as aggression, fearfulness, anxiety. In fact, by taking into account the emotions dogs feel, rather than simply looking at how they behave, animal behaviourists are now learning to get to grips with solving these problems much more effectively. 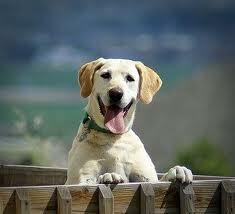 There have been studies recently that show that dogs can and do empathize with their humans. The researchers concluded that dogs might have much the same emotional responses as a young human child. 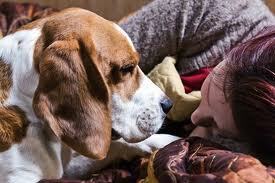 In the same manner that young humans show empathy and understanding of the emotions of others, so do dogs. Furthermore, we appear to have bred our dogs so that they not only show empathy, but also show sympathy, which is a desire to comfort others who might be in emotional distress. If dogs are capable of this, then we need to closely examine how we behave when our dogs are in distress, anxious or in need of understanding and comfort. 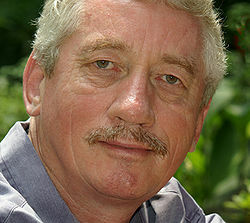 Frans de Waal is best known for his study of captive chimpanzees resulting in his book, Chimpanzee Politics, in 1982. This book offered the first description of primate behavior explicitly in terms of planned social strategies. In his writings, de Waal has never shied away from attributing emotions and intentions to his primates, and as such his work inspired the field of primate cognition that, three decades later, flourishes around themes of cooperation, altruism, and fairness. Recently, de Waal’s work has emphasized non-human animal empathy and even the origins of morality. His most widely cited paper written with his former student Stephanie Preston, concerns the evolutionary origin and neuroscience of empathy.